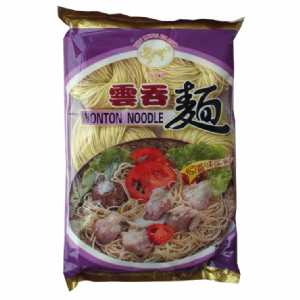 An Oriental noodle perfect for adding to wonton dishes. 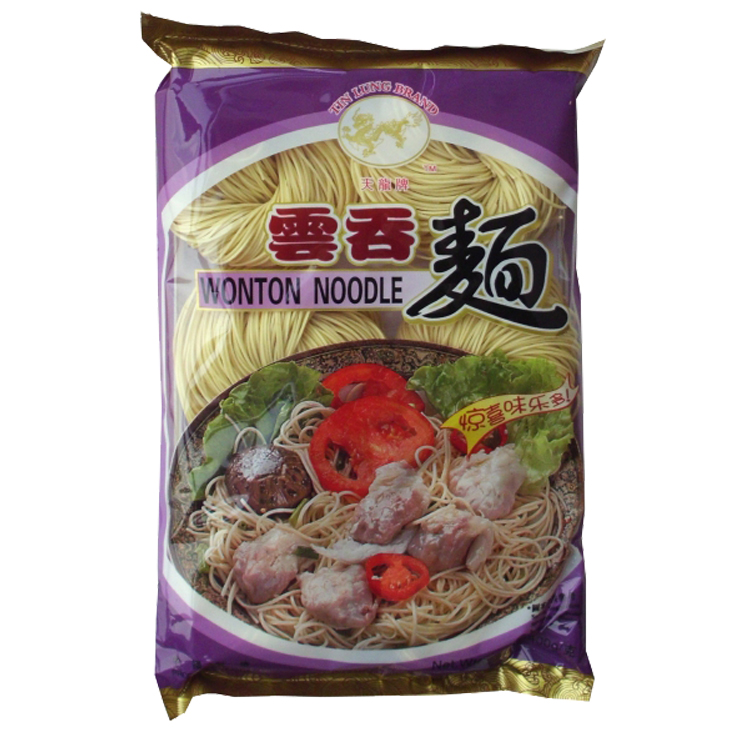 Just cook in boiling water for 3 mins and use for Wonton noodle soup or Wonton fried noodles. 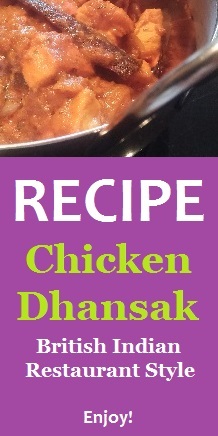 Ingredients: wheat flour (gluten), water, wonton flavour, colouring turmeric.